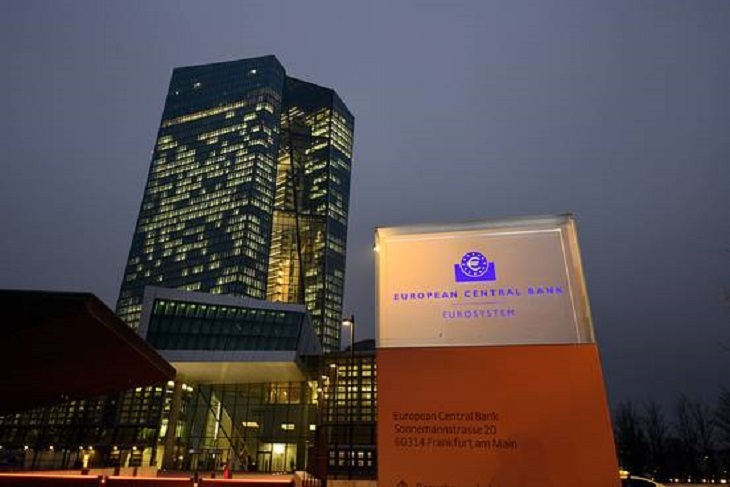 FRANKFURT—The European Central Bank purchased just over €63 billion ($68.75 billion) in public and private debt securities last month under its three-month-old quantitative easing program, according to ECB data released Monday. Of the €63 billion in bond purchases last month, around €52 billion were of public-sector debt, which includes primarily government bonds but also debt issued by European Union institutions. The ECB bought just over €10 billion in covered bank bonds, and another €1.4 billion in asset backed securities. The ECB updates its bond purchases each Monday. The bond program, known as quantitative easing or QE, was announced in January and launched in early March. The aim is to raise the money supply and spur borrowing and spending to push annual inflation back toward the ECB’s target near 2%. Consumer prices were flat on an annual basis in April after being negative in late 2014 and the start of this year. Consumer price figures for May are due for release Tuesday and are expected by economists to show a slight rise.